The movie, Homeward Bound is a remake of the film Incredible Journey, which was made in 1963. It is the amazing story of a cat and two dogs that undertake a cross-country journey to be reunited with their loving owners. 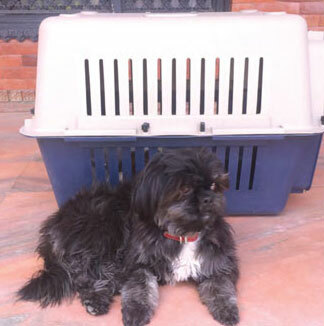 Recently, CSS Homeward Bound was entrusted with the relocation of a male cat and a Havenese mix dog. The animals were relocating from Kathmandu, Nepal to Senegal and in coming from Nepal, had a two day layover in Dubai. With small animals (just 5 and 6 kg’s), CSS Homeward Bound as able to gain expedited permissions from the DNATA and the Ministry of Environment due to the sensitive nature of this cargo. Permissions were needed because the cargo required inter-terminal transit. Since direct flights to Dukar only leave Dubai every two days, CSS Homeward Bound arranged for the care of the pets to be given by Dubai Kennels and Cattery. Even when the cargo is beyond monetary value, CSS Homeward Bound will go that extra mile to ensure that it reaches its destination safely. Moving a family is a chore in itself and when pets are involved the move takes on whole, new dimensions. With CSS Homeward Bound your pets will be treated with all the care and consideration that you would give them yourself. CSS Homeward Bound wishes to extend our thanks to the following organizations that gave their whole hearted cooperation and support to ensure that the pets were safely reunited with their loving owners in Senegal: Emirates Kdy Cargo, Ministry of Environments, Orient International Relocations, and Qatar Airways.